Look at all those tomatoes on the screen. Red tomatoes are ripe and green seems unripe. 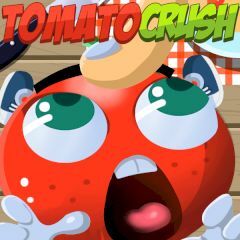 Your task in plain simple, click on tomatoes and make sure that you get similar tomatoes on the screen. Each level gives more time, so click fast not to run out of it. When the game is over, see the final score and give it another try.